Ask each team member to share their dashboard with the rest of the group – showing their dials and explaining what influenced their rating and motivated the goal they set. You could ask people to put their name on their dials and put them all up side by side on a wall, or you could map all the scores on the one dial, such as shown below. This shows how aligned people are in their views and it stimulates the conversation. It is important to remember that there are no right or wrong answers – it is about sharing different perspectives on sales performance. If conducted in the right way this conversation should be powerful. Ask people to share metrics that they would use to support their rating of activity or effectiveness. Such metrics might include the number of (new prospect) meetings in a typical week, or conversion rate in terms of the number of meetings required to generate one order. 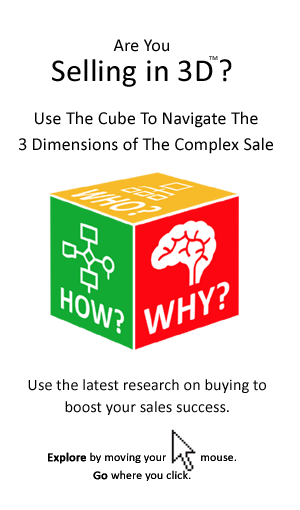 For example Brian might say that he rated activity at 50% because at 6 customer meetings a week, sales people are only devoting half of their time to new prospect meetings. In probing views as to activity and effectiveness (using the dials), ask people where the priority should be – is it improving activity or effectiveness or both? 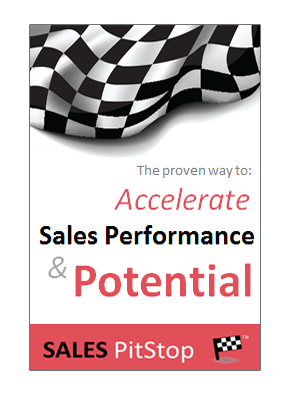 Now that you have got the discussion on sales performance going, let’s channel it into action in Step 4.